Dr. Corneliu E. Giurgea, a Romanian neuropharmacologist at UCB in Belgium, successfully synthesized the first racetam, Piracetam in 1964. Piracetam was a derivative of GABA, the chief calming neurotransmitter in our central nervous system. Although in studies it was not found to have anti-anxiety benefits as he expected, it was found to improve cognition and memory with no toxicity at any dose. 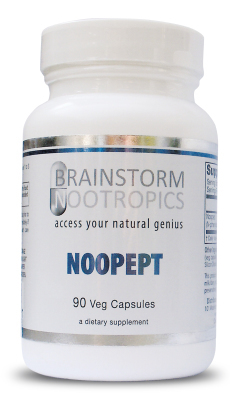 Dr. Giurgea created the term Nootropics in 1972, and listed the five categories that define a nootropic substance. Research chemists found that by slightly modifying Piracetam’s molecular structure, they could create a new racetam, chemically similar, but having differing effects in the brain. Aniracetam was developed by Hoffman-La-Roche in the early 70’s. Pramiracetam was developed by Parke-Davis in the later part of the 70’s. Oxiracetam was first studied in 1984. The development of new racetams continues to this day. 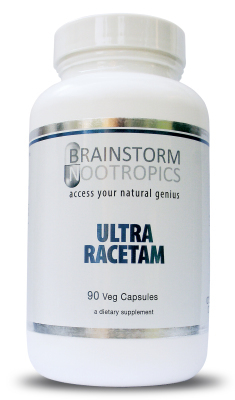 It is interesting to note that not all racetams are considered to be nootropics, and not all nootropics are racetams. 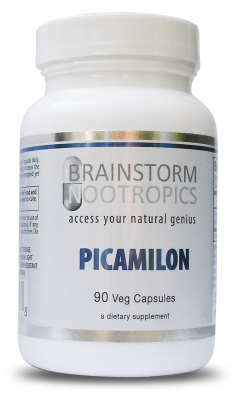 Picamilon is a combination of GABA and Niacin, while other are similar to racetams, but technically don’t fit into the category. One popular example of this is Noopept, which is a precursor for the human peptide cycloprolylglycine. This Agreement was last modified on October 26, 2015. Please read these Terms of Service completely for using Brainstormnootropics.com which is owned and operated by Brainstormnootropics. This Agreement documents the legally binding terms and conditions attached to the use of the Site at Brainstormnootropics.com. 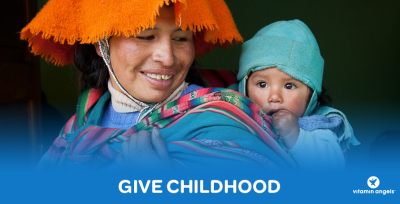 The Site and all of its original content are the sole property of Brainstormnootropics and are, as such, fully protected by the appropriate international copyright and other intellectual property rights laws. Brainstormnootropics reserves the right to terminate your access to the Site, without any advance notice. Brainstormnootropics reserves the right to modify these Terms of Service at any time. We do so by posting and drawing attention to the updated terms on the Site. Your decision to continue to visit and make use of the Site after such changes have been made constitutes your formal acceptance of the new Terms of Service. Therefore, we ask that you check and review this Agreement for such changes on an occasional basis. Should you not agree to any provision of this Agreement or any changes we make to this Agreement, we ask and advise that you do not use or continue to access the Your Nowhere Town site immediately. If you have any questions about this Agreement, please feel free to contact us at support@brainstormnootropics.com. *Anywhere in the continental US.